Ceylon was the original paradise island - the Portuguese, Dutch and British occupied it, but failed to capture its essence. While ElephantsNow.org founder Philip Price will lead the tour to the parks and sanctuaries, our elephant intuit, Amber Brovelli, will guide you deeply into the heart of the elephant. In over twenty years of guiding in Sri Lanka, India and elsewhere, we’ve never experienced such human/elephant connection as witnessed thru Amber. Saul will lead your immersion into the spirit of Prana, as we travel into the richest of Buddhist culture. We will connect evermore to these sacred lands through our yoga & mindfulness practice. While facilitating sweet equanimity, Saul’s intention is to bring spaciousness to our soul - allowing ever deepening connection to the landscape & culture. Tour of a Lifetime…..There can hardly be a more exotic place than Sri Lanka. All the while, you are a conservation activist - supporting elephants, while deepening your empathetic self. This is a once in a lifetime eco-adventure…we are travelling within the beautiful and mystical Sri Lanka. This is a special offering of Elephant Ecology & Yoga. 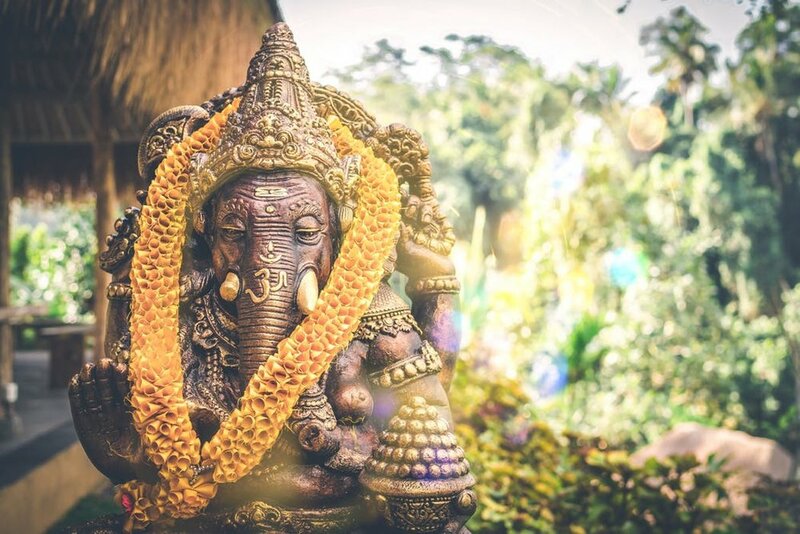 Elephants are a sacred and essential part of the yoga wisdom tradition and are vital to the ecology for all species, including humans. Our intimate group will interact with wild elephants and other animals in their natural habitat, along with experienced rangers who protect them and the veterinarians who treat them. We will be helping to map out wild elephant herds and weather permitting, a boat ride out to sea to interact with whales. Both Elephants & Whales are majestic wisdom keepers that are being threatened by the activities and arrogance of mankind. During this retreat, we will learn how we can work together to spread awareness and how we can make a real difference for the survival of these incredible animals. 50% of the retreat proceeds will go directly to supporting the work of ElephantsNow.org ~ The Ganesh Project 501(c)3 and their mission protecting the Asian Elephants in their natural environment. 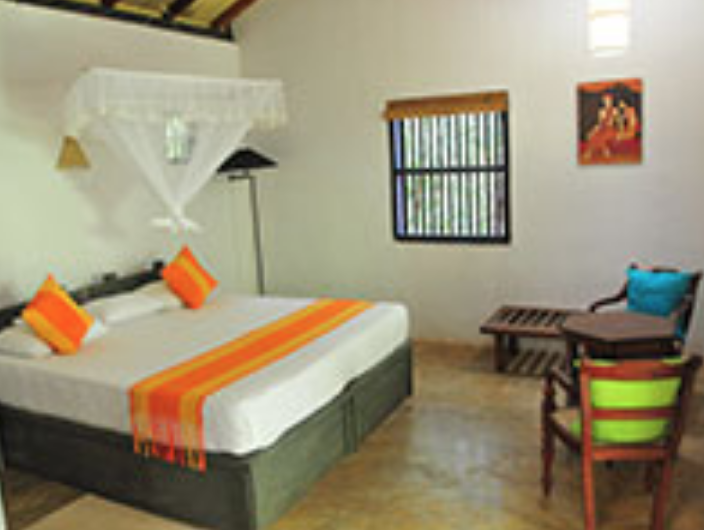 An exclusive eco-resort owned by Back of Beyond (https://www.backofbeyond.lk/index.html) will be the base for our operations for four nights. 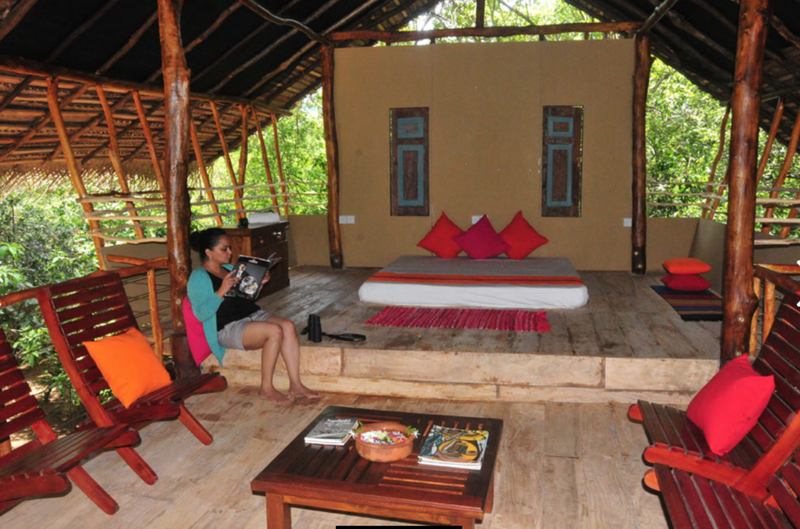 At Pidurangala Jungle Hideaway - we can climb Pidurangala rock for sunrise one day and next day climb Sigiriya. Afternoon activities (if we have time) a cycle tour to a local weva (reservoir). Spotlight walking tour at night (just inside the property) looking for the elusive Loris. We may practice yoga beneath the trees and amongst big boulders while we’re at Pidu. We may also visit Back of Beyond’s sister lodge at Dehigaha Ela The property has a rainforest corridor with a beautiful stream running through it. We can bathe in this stream, enjoy a natural 'fish-spa' (always fun! 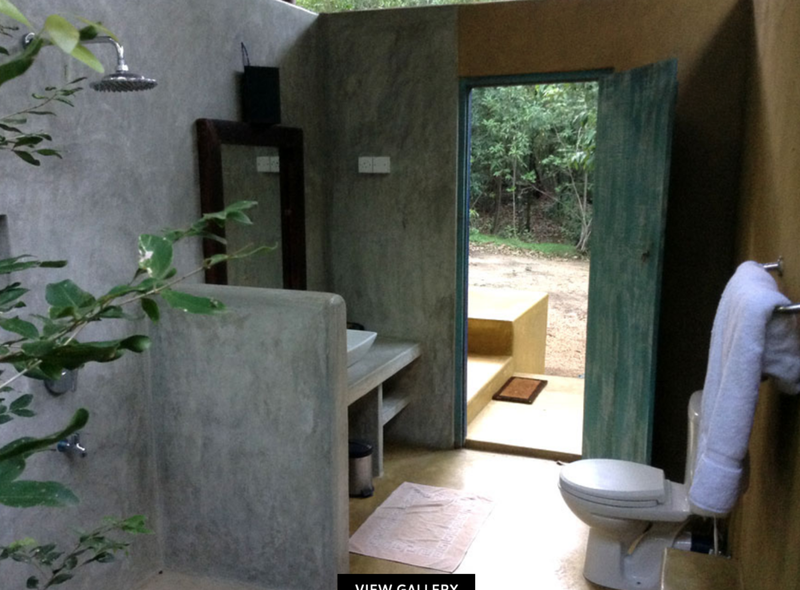 ), go on a nature walk in the jungle with the naturalist. Nuwara Eliya via Kandy - The Temple of the Tooth is one of Buddhism’s most sacred places. Kandy is likewise a city unlike any other in Sri Lanka, where we can visit colonial era streets and businesses. Nurwara Eliya is in the hill country where Sri Lanka’s famous teas are grown. activities include visiting a tea factory and ayurvedic gardens. There will also be opportunity of enjoying a spa treatment. A boat ride to Kalametiya sanctuary is a wonderful sunrise activity. 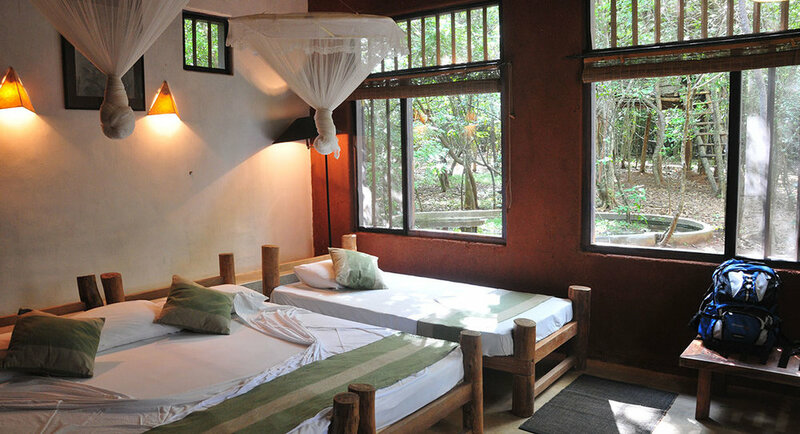 We will be staying at another of Back of Beyond’s exclusive eco-resort properties at Kahandamodara. If guests didn’t have an opportunity for an Ayurveda treatment at Kandy, then here is the place to have one (your option/cost). There is a purpose built Ayurveda Centre on this property and the Ayurveda oil massages received here are often said to be guests’ best ever! 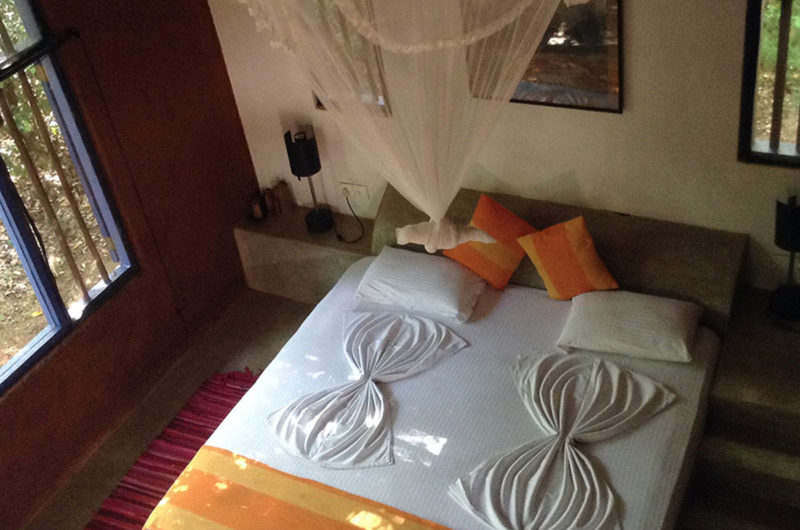 There is a beautiful yoga shala opening out to the pool, which is shaded by wood-apple trees. The whole property sits on 14 acres and is full of big beautiful trees and grassy gardens. We may practice our yoga under the trees out in these gardens. The local beach is a short walk away and guests often enjoy yoga sessions there as well. Food! The food you will be served at Back of Beyond is specially curated for us using fresh local produce, often grown on the property. 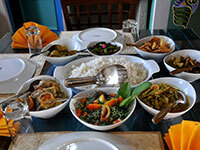 The dishes are Sri Lankan traditional curries that are both nourishing and medicinal. Lots of vegetables and 'mallung' - chopped greens tempered with coconut and turmeric. Back of Beyond caters to any dietary requirements like gluten free, vegan etc with no issues. Anyone wanting a more western menu can also be catered for (but why would you miss out on your chance to taste the best Sri Lankan food on the island! You can enjoy herbal drinks like 'kola kanda' in the morning and other fresh juices etc throughout the day. Whale watching is in our plans and depending on the recent sightings, we will incorporate this into our plans either while at Kahandamodara or on the following day as we are heading back up the cost toward Colombo. This really is a once in a lifetime opportunity to experience sacred elephants in the wild. We will be guided and protected by a team of native and international experienced elephant activists. We can only take a small group so that we have special access to many wonderful opportunities in the bush. Space is limited to about 12 participants for this retreat. For more information or to register, please email ritamhealingarts@gmail.com. $1900 – Double Occupancy / First 5 people to sign up receive a $125 discount. RT airfare to Sri Lanka has been between $600 – $1000 depending on layover and airline. 30 day visas are issued on arrival for most departing countries, including the US and cost $40. Transportation to and from the airport will be provided at a small extra charge. In all our properties, we take great care to learn the ways of the land, the waterways, plant, bird and animal life of the particular area before we start ‘developing’ it. This way we hope to minimize disruption to any of the existing natural patterns of the land and its life. We leave a major proportion of the land untouched or rejuvenate it as a wild habitat where needed. This orientation has become even more important than we expected, as are discovering how critical these ‘wild pockets’ are as a refuge for wildlife as man takes control of more and more of the natural landscape even in the most remote areas. We practice rainwater collection and have created mini lakes for storing excess rainwater. When the dry season sets in, our rain water conservation becomes a life giving source for wildlife as well.